Do you want 2015 to be healthier year for your family? Are you tired of dealing with sick and cranky kids? Do you worry about the chemicals that are in your skincare products and household cleaners? If you answered yes to any or all of those questions then you’re in good company. Because I want those things for my family too. I’ve been doing a lot of reading recently, looking for answers to those questions. And it seems that everyone is talking about essential oils. I confess I was a bit skeptical, can a tiny bottle of oil really change the wellbeing of your family? I talked to hubby about it and we decided that it was worth a try. So we invested in the Young Living Premium Starter Kit. And we’re not looking back! If you’re curious about oils like I was keep reading, because hopefully I’ll answer your questions so you can join too. The thing about essential oils is that they work slightly differently on different people. Because we’re all different after all! So you do have to test out different oils and combinations. Oh and these are Young Living Therapeutic Grade oils I’m talking about here, they are the only oils we for our family. I wouldn’t do the same things with cheap essential oils you can buy at the health food store as they could do more harm than good. Panaway, valor and peppermint – this is my go to combination when I have bone pain in my spine (I have osteoporosis and fractured several vertebra), I feel so much better putting oils on my skin than swallowing pills! Why did you choose Young Living? I’ll admit, when my friends started talking about Young Living and essential oils I was tempted to just go to the health food store and buy a few bottles. I’m so glad they talked me out of that! As I said, Young Living oils are of a Therapeutic Grade, which means they’re safe for internal use. Most of the oils you buy elsewhere cannot be used internally, and there’s no guarantee that they’re safe to use on your skin either. From doing lots of reading I discovered that many oil companies source their oils from oil brokers who in turn source those oils from various farms around the world. And the methods of collecting those oils varies greatly. I just didn’t like the idea of buying an oil and not knowing where it had come from and whether in the collection process it had been tainted in some way. I’m trying to build a healthier life for my family, not swap one chemical concoction for another! Young Living is the only company that has their own farms. They literally own every step of the process. From planting the seed, to growing the plants, to collecting and distilling the oil to finally putting it in the bottle and shipping it to the customer! They call it the Seed to Seal process and it’s something they’re (quite rightly) very proud of. My friends have put their trust in this company (and some of them have even been and visited those farms) and I felt comfortable putting my trust in Young Living too. Of course I also loved that I could sign up and get a wholesale membership discount (24%) without being obliged to go out and sell to anyone! Do I have to become a wholesale member? Nope. You can be a retail customer, but you’ll have to pay 24% more for your oils and other products. The wholesale membership is sort of like a Costo membership, so you get to buy the products at wholesale prices (24% off retail). PLUS if you share your oil stories with your friends and families and they want to join Young Living you’ll earn some commission as a thank you. I really just want to use the oils myself. Are you saying I have to sell products to become a wholesale member? Nope. You just have the option to. There is ZERO obligation to sell products and many wholesale members don’t. They just use the oils themselves but take advantage of the discount and the rewards programme. Still worried? Click here to find out why a wholesale account is really not scary at all. Nope. You can just order what you like when you like. You need to make a minimum order of £50 a year to remain a wholesale member, but if your membership lapses you can just make a £50 order to restart it. What kit do you recommend I get started with? I started with the Premium Starter Kit and I think it’s a great way for anyone to get started. It’s definitely the most cost effective way to get started on your oil journey because it’s packed full of oils and value for money! First up you get a set of 9 Everyday Oils, and a bottle of Stress Away. And you get some samples that you can share with your friends, because trust me as soon as you get started with these oils you will want to tell your friends! Yep. 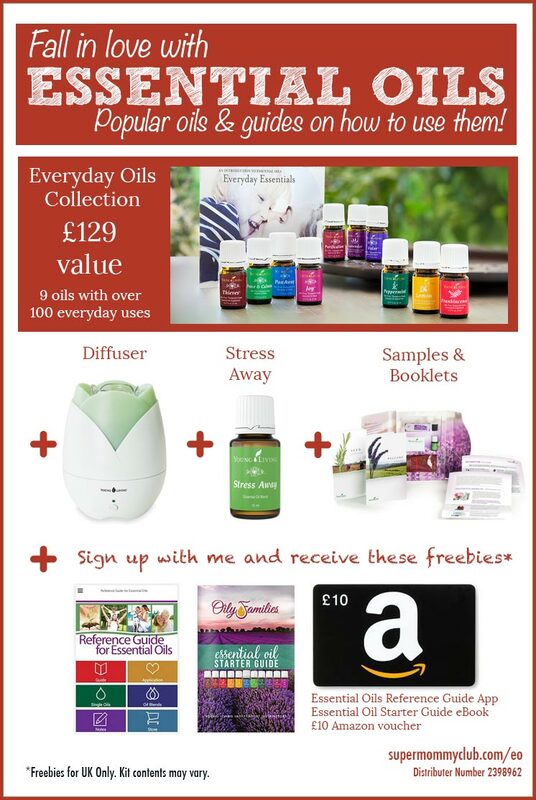 Young Living has a rewards programme called Essential Reward and it rocks! When you join the programme (which is free and entirely optional) you get reduced shipping and you earn reward points on every purchase that you can exchange for free products! I’ve written a very detailed post about it here. Oh and each month they run special promotions where they giveaway free products when you spend a certain amount. Here’s a sneak peek at March’s promotion. I don’t know anything about oils though. Where do I start? Don’t worry, when I signed up I was clueless about oils too! But it was all fine because I was invited to join an AMAZING Facebook group where I could ask all the questions I wanted, and you’ll receive an invitation to join too. 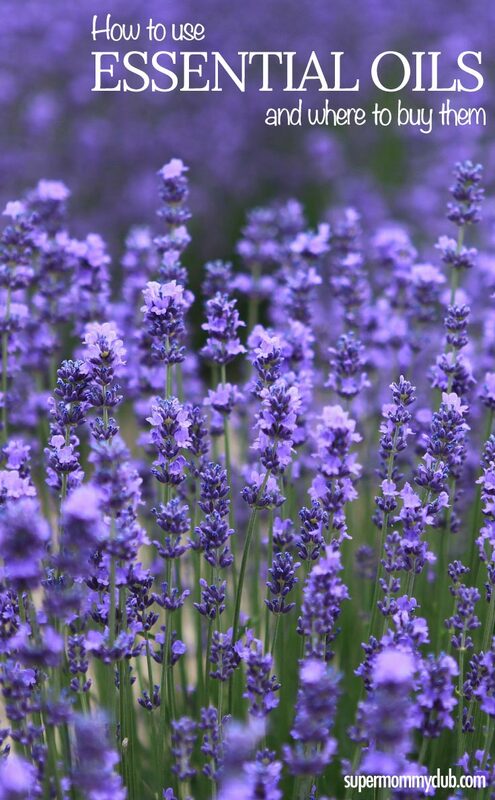 A really helpful Essential Oil Reference Guide App, so you have the information you need about which oils to use right there in your pocket at all times. The Essential Oil Starter Guide which is a gorgeous 20+ page ebook that covers uses for each of the essential oils in the starter set. A £10 Amazon gift card. Access to the Oil Nation Facebook page which is a lively community where you can ask questions about your oils. *Please note this offer is for residents in the UK only. Click here for details of the US/Canada offer. 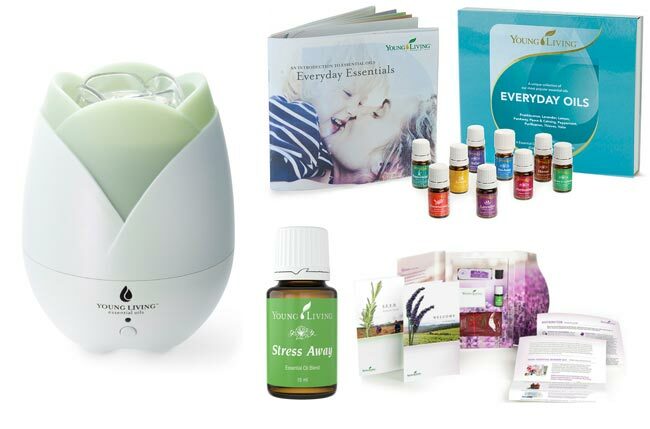 Click here to order your Young Living Essential Oils Starter Kit. I’m ready! Now how do I join? If you are ready to buy a premium starter kit, then be sure to sign up as a wholesale member (with one of the premium starter kits) and then follow the steps below to take advantage of that education pack! You’ll be asked if you want to sign up for Essential Rewards. This is a great way to get even more value out of your oil purchases, and if you sign up today you’ll earn 10% back in points on the cost of your kit as well as anything else you buy. Plus you’ll be eligible for those promotional offers! You’re all signed up with Young Living now but you still need to claim your bonus from me! Send an email to [email protected] letting us know that you signed up through this promotion so that we can send you your freebies! Somewhere in your email please put the promotion code “justbrightideas”. IMPORTANT: This promotion is only available when you sign up with the sponsor ID and enroller ID as #2398962! Also, if you recommend this promotion to a friend (or group of friends) and they sign up too through this promotion then please let me know so that you can get credit for referring them.